"Better Balance equals maximum performace®"
I placed the insole in the shoe and adjusted slightly the position of the arch support. When I laced the shoe and stood up, I could feel the arch support during my golf swing. I felt more solid contact with the ground and when pushing off the right foot on the downswing. That is a good thing. It is encouraging to find a person who is really interested in helping to solve a problem. Have a good day. Instant arches® arch supports golf is the perfect arch support to create better balance in your lower half, hips, legs and feet during your day on the links. Golf requires balance and being able to shift your weight evenly to generate power in your lower half will increase the distance in your long game. When your arch is unstable and collapsible, it flattens out when driving the ball off the tee, or trying to hit the green from the fairway as well as making a put on the green. When your arches collapse it is because the joints in your feet collapse and therefore you lose the ability to transfer your weight evenly during the swing phase of your golf stroke. As a golfer all the power comes from your hips to your feet, your lower half. Having a stable supported platform such as your feet is imperative to be successful and improve your game. Although arch supports are not the first thing that comes to your mind when you want to improve your game. 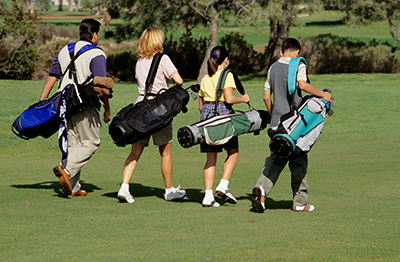 Golfers can experience leg pain as well as foot pain from walking to much on the golf course. If their feet are not supported properly, they can walk their way into problems. Golfers are subject to developing shin splints in the muscles in their lower legs and arch pain in their feet. Muscle fatigue is the trigger. Wearing arch supports will eliminate that problem. However, wearing an arch support in your golf shoes will stabilize your feet, increase the power in your legs and create better balance which will allow you to hit the ball farther. These arch products will fit in all men's and women's styles and brands of golf shoes such as Nike, Adidas, Ashworth, Footjoy and PUMA. Place the arch products in the arch area of your shoes and feel the support needed to be successful on the links. So if you are looking to improve your game and you have tried everything…..think feet,power, balance and arch supports! !